By Alexis Michalik, translated by Jeremy Sams and directed by Roxana Silbert. Edmond De Bergerac is the triumphant hit comedy that took France by storm. 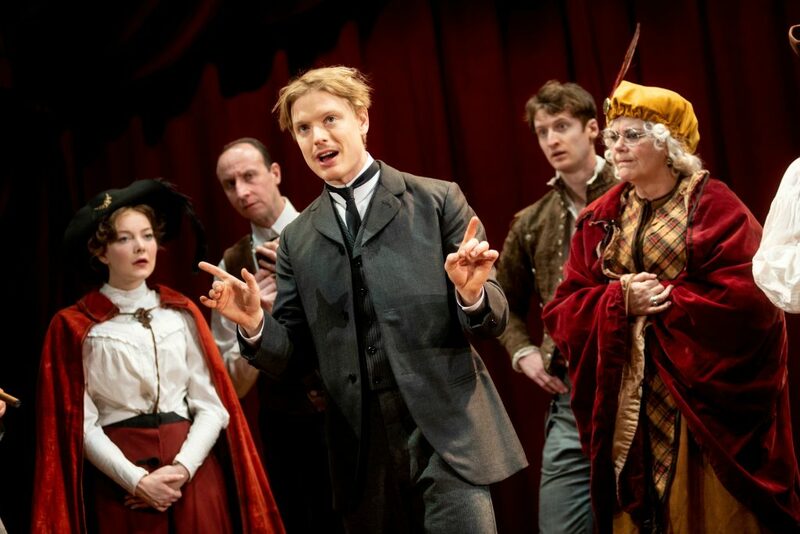 The play, starring Freddie Fox, Henry Goodman, Josie Lawrence, and Chizzy Akudolu, now makes its English-language premiere at The REP.
Paris, 1895: Edmond (Freddie Fox) is a struggling playwright with writer’s block. His last play was a flop. He’s down on his luck. 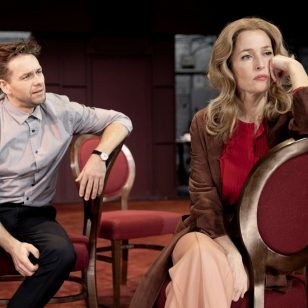 Until he helps his best friend Leo woo a girl called Jeanne by writing romantic letters to her as if from him…and has a brilliant idea for the plot of his brand new play, Cyrano de Bergerac. With the help of a celebrated actor called Coquelin (Henry Goodman), theatrical legend Sarah Bernhard (Josie Lawrence), and a faded star called Maria (Chizzy Akudolu), Edmond starts writing again. But will he finish his masterpiece? Will the play be a hit? And will Jeanne ever discover that Leo’s love letters were really written by Edmond? 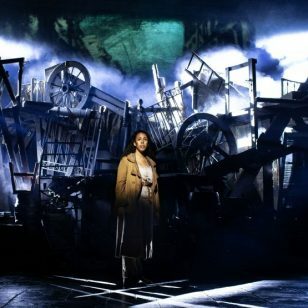 theatres – and an ingenious way of creating a train on stage being one of my highlights. Edmond De Bergerac is really a first class production, and this is reflected in its amazing cast. Freddie Fox brings an incredible nervous desperation to Edmond as he is struggling with writer’s block and with writing the play and is simply magnificent. I have been a fan of Henry Goodman since seeing him as Volpone at the RSC. 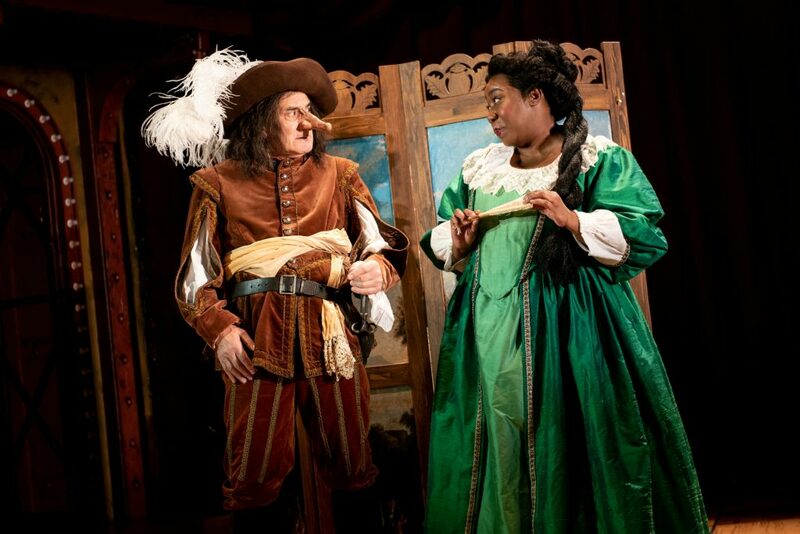 A truly great comic actor and an utter delight to see him as Cyrano, complete with overly long false nose! The Black Country’s own Josie Lawrence and Ex-Casualty actress Chizzy Akudolu were also fantastic both playing a variety of roles. Lawrence played theatre legend Sarah Bernhard perfectly. 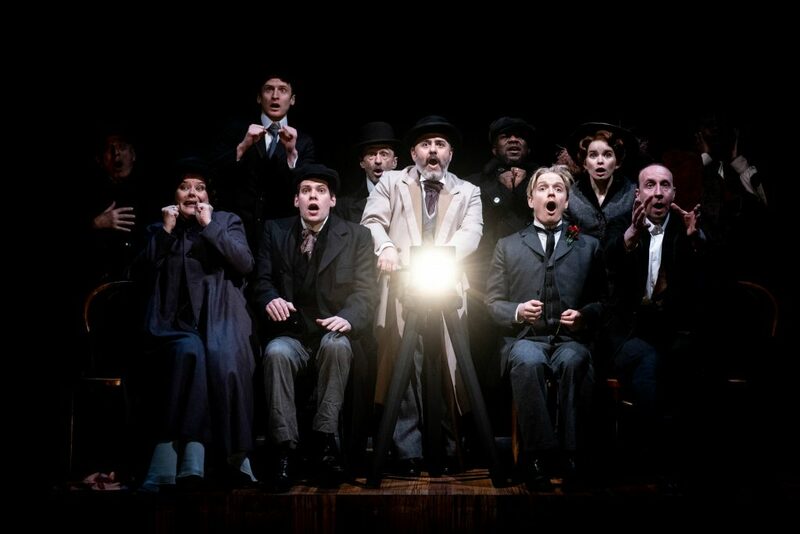 The play boasts an equally brilliant supporting ensemble cast with Simon Gregor’s outrageously camp turn as the wardrobe master and receptionist being a hilarious highlight. Only knowing the story of Cyrano De Bergerac through the Steve Martin movie Roxanne I was really intrigued to see how Edmond drew inspiration and wrote the play. 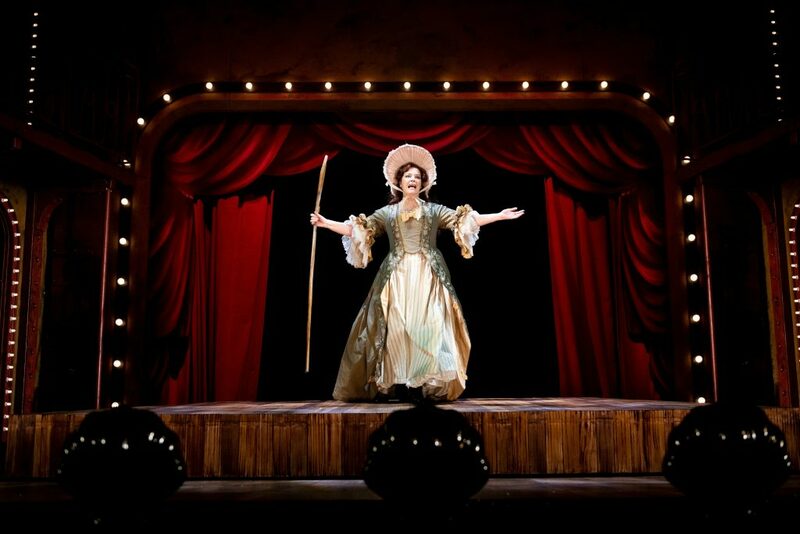 Watching this play felt like being taken back in time to the romantic Bohemian world of Paris in 1895 and I learned lots about Edmond and his life – It has inspired me to seek out Cyrano De Bergerac and see the story properly. This play had a great story, great characters, and great laughs, and I would thoroughly recommend this play! Catch it while you can at The Rep – it is utterly brilliant! When not writing for #BrumHour, David Fox spends his time wondering when Checkov is back on the midlands stage or is that Chekov?